Associate Professor, Chair, Department of Asian and International Studies at City University of Hong Kong. 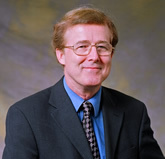 Graeme Stuart Lang was born in British Columbia. He earned his B.A. at Simon Fraser University and an M.A., PhD at York University. His research interests are sociological and ecological aspects of Asian societies, religions and science and comparative history of science in Asia and Europe.